I love watch complications. A jumping seconds hand, moonphase, chronometer, minute repeater, power reserve, GMT, perpetual calendar, and power reserve are the stuff of watch wizardry. I love to see a red second hand orbiting a white watch face. Or blue hands above a paper white face. A blue bezel, a bold green watch face, a mix of Roman and Arabic numerals, off-center dials, open heart, and immaculate fonts are some of the ingredients of a magnificent watch. SBGW031 is perfectly balanced. Photo from Seiko. Our eyes covet what our wallet doesn’t always allow, but when it does, a tourbillon peeking through a watch face is also a wondrous sight. When we look at the watch we’re wearing, we let our eyes lose focus, and we imagine that we're looking at art in a gallery, so intricate, colorful and detailed is our watch's face. Harry Winston, HYT, Breguet, Speake-Marin, Vacheron Constantin, and other watchmakers excel at creating elaborate time puzzles that tantalize and enthrall us. With watches like the Greubel Forsey Invention GMT, Jaeger-LeCoultre Hybris Mechanica Grande Sonnerie, and the Zenith Christophe Colomb Hurricane Grand Voyage we see something new every time we ask our watch what time it is. But there is also beauty in the simplicity of purpose. Stripped to its essence, like electrons torn from an atom by a powerful magnet, a watch has one function: to tell time. A watch that does nothing else—that doesn't even show the date—is like a glass of whiskey that you're drinking neat. You can taste and enjoy the full flavor of that whiskey, without it being adulterated by food, cola, or water or ice. It's not minimalism when a watch just tells time and no more. A watch with just two or three hands and nothing else feels minimalist in comparison with the abundance of complex watches that wrists like to wear, but minimalism isn't its aspiration. By eliminating all the noise, a watch that just tells time becomes something larger. A watch that's designed just to tell the time is the girl next door; it's the song that you want to take with you to that proverbial desert island; it's the mug that makes your morning coffee able to ease you into the day. 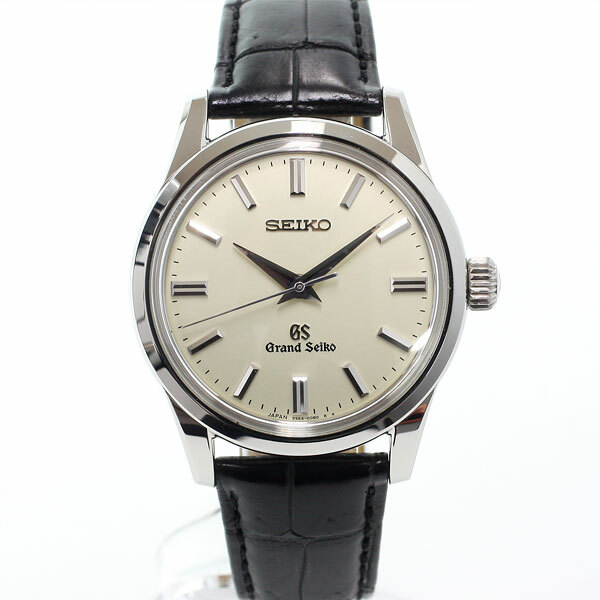 One watch, perhaps above all, embodies that beauty of the simplicity of purpose: The Grand Seiko SBGW031. An alabaster and pearl face, flawless acuate dauphine hands, a domed sapphire crystal that appears invisible at times, a steel case that looks like it's been polished for a thousand years — everything is crafted so perfectly that you don't even notice that this Grand Seiko does nothing but tell time. 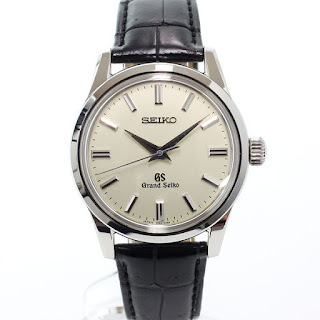 The Grand Seiko SBGW031 is 36 mm in diameter and uses a Seiko hand-wound movement, designed for their Grand Seiko line. Perfect harmony will cost you about $3,500. But there are few watches that give you so much with so little on them. Wonderfully written. It's a touch over 37mm, but that's just detail. I definitely get what you are trying to say but to draw parallels between the SBGW031 with a girl next door or a cup of coffee isn't doing the watch justice.